Well, firstly, in the interests of full disclosure, it’s an absolute cheat to call this “bread” just because it’s baked in a loaf tin. Make no mistake, for this is CAKE. I recently – and undoubtedly temporarily – gave in to the sure knowledge that wheat is not my friend. I’ve known for many years but, y’know, wheat is in, like, cake. Delicious cake. And bread. And pasta. And tortilla wraps. And pitta. And pretty much everything I love. In order to soften the blow, I have embarked upon experiments with wheat-free flour to see whether I can still make delicious treats whilst respecting what my body is trying to tell me. 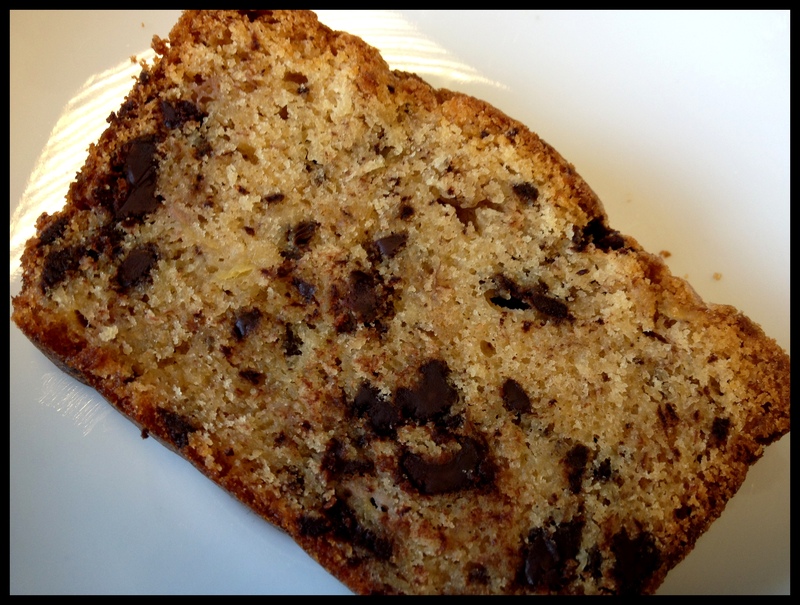 As my first stop on this particular adventure, I chose something quite high in richness and flavours derived from ingredients other than the flour: banana and chocolate bread (cake). 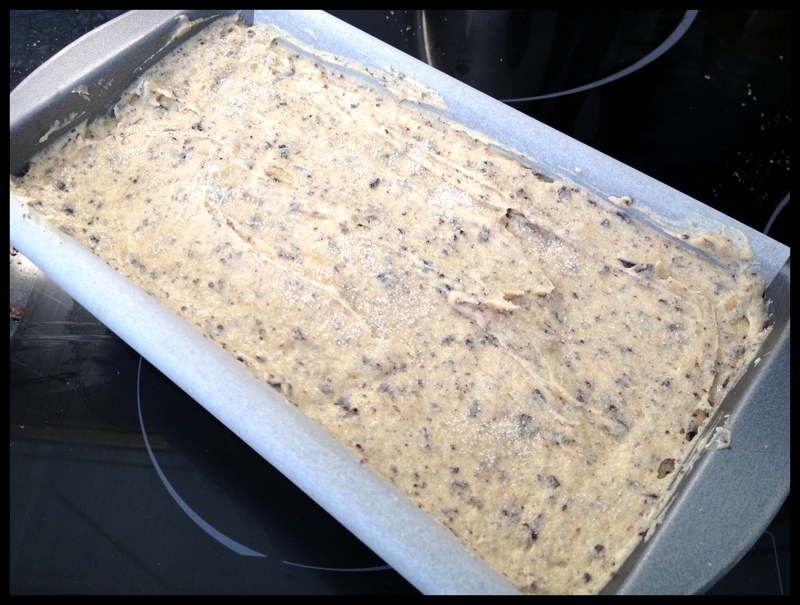 Preheat the oven to 170C and line a loaf tin with a strip of baking paper. 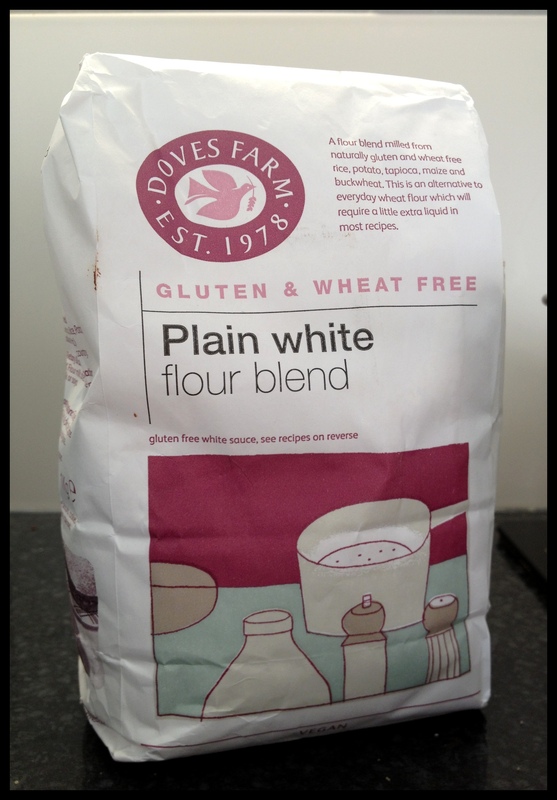 This is the flour I used, which I bought from Tesco’s for £1.70 (1kg). It’s a carefully calculated combination of rice, potato, tapioca, maize and buckwheat (which, in the same way that chickpeas do not contain chicks, does not contain wheat). So, pretty standard method. Beat butter and sugar until pale and fluffy. In a mug/jug, use a fork to break up the eggs and vanilla extract. 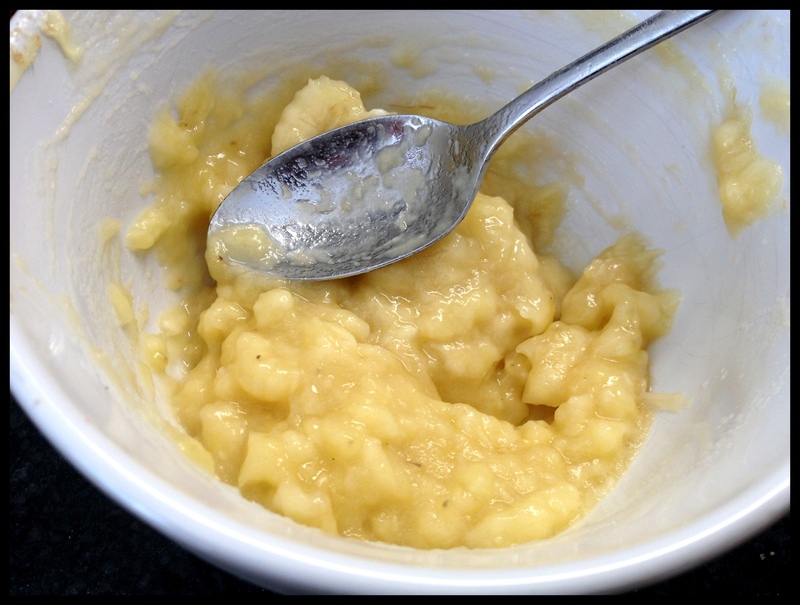 Add to butter mix one tablespoon at a time, beating between each addition. As you approach the end of the egg, chuck in a bit of flour to prevent it splitting as you beat. 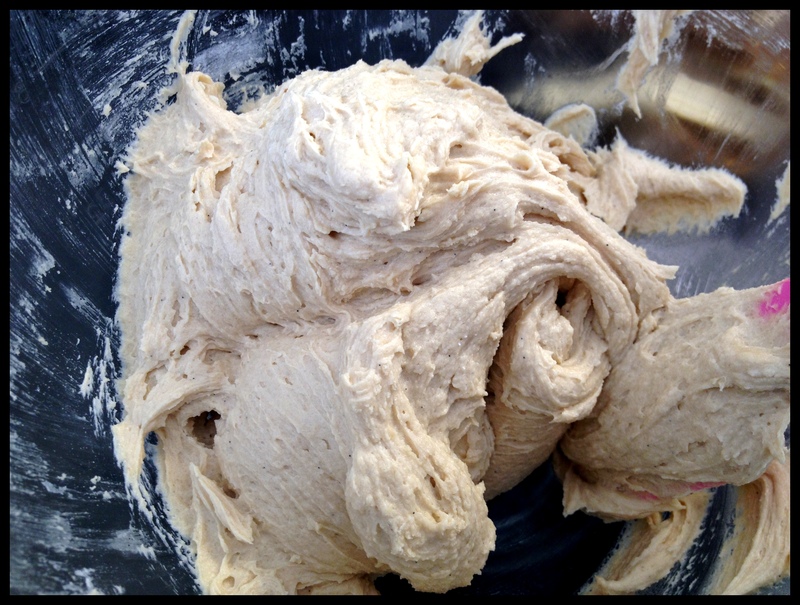 Sift in the rest of the flour, baking powder and salt, and beat until just combined. 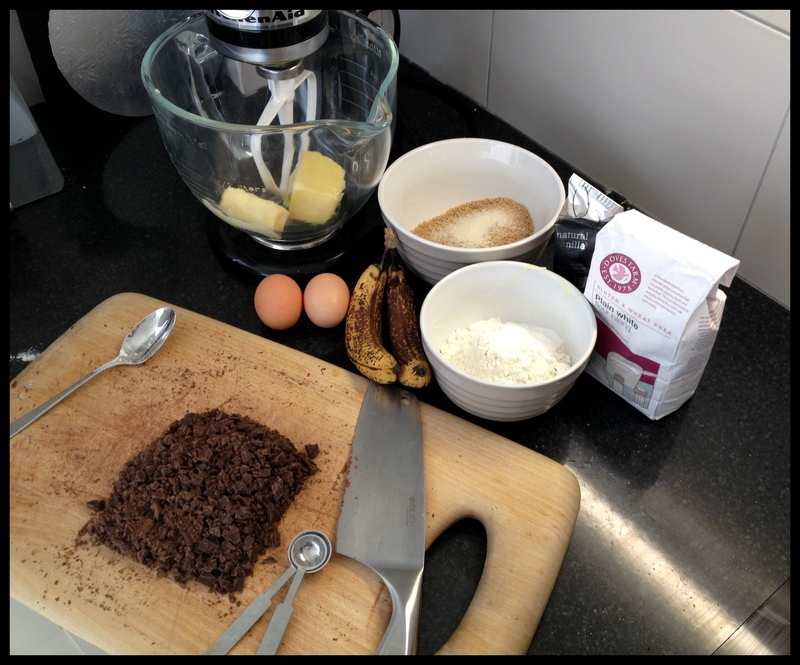 Gently stir in the mushed banana and chopped chocolate. Load the mixture into the lined tin, chuck it in the oven for an hour (it might need a little longer – check it with a skewer). Have a peek at it about half-way through baking and loosely lay a bit of foil over the top to stop it colouring too enthusiastically. I’m delighted to report that the difference between this and its wheat-rich sibling is negligible. Well worth a bash. Yum. 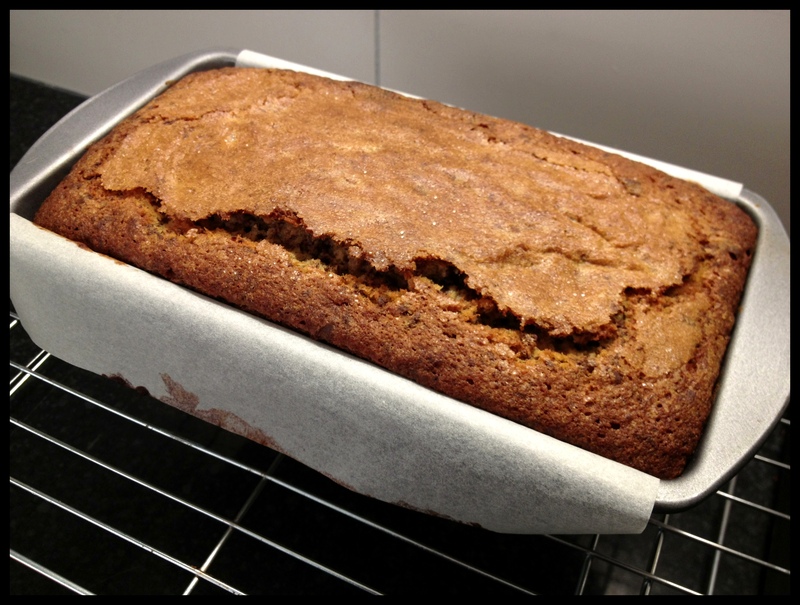 This entry was posted in Cooking & Baking and tagged banana bread, banana cake, gluten-free cake recipe, wheat-free cake recipe by wordspicturesandcake. Bookmark the permalink. It really is delicious! 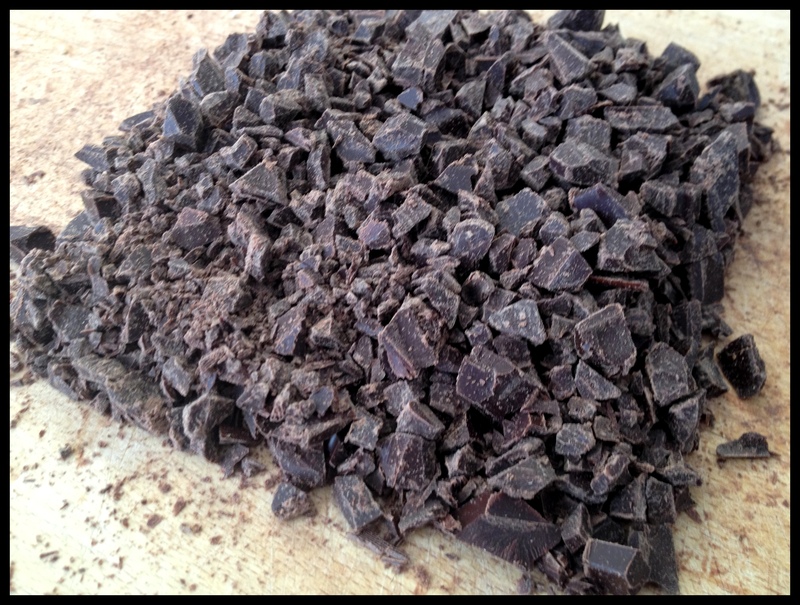 I’d say the only difference is that the gluten-free version is ever so slightly more crumbly.